The concept of tipping your flight attendant is rather foreign. Flight attendants are not glorified waiters, serving drinks up high in the sky. They are, and airlines always stress this, there for the safety of passengers on-board. Pushing the drinks trolley is not the main gig. In early January 2019, Moneyweb reported that ultra low-cost American carrier, Frontier Airlines has introduced a tipping option for passengers via the payment tablet used during in-flight transactions. Similarly, after riding with Uber or receiving your order from UberEats, you are given an option to tip. Tipping has, thus become a seamless part of everyday digital hospitality. In the past, Frontier Airlines flight attendants shared tips among the entire cabin crew, now it's every woman and man for her or himself as they take home what they earn in tips. Everyday waiters perform favourably to the customer he or she serves in order to get a favourable result, i.e. a good tip. But how would this play out on-board? CN Traveler makes a very valid point, saying attendants shouldn't feel like they are beholden to customers demands. And if they are, as they should be, truly there for safety reasons, then tipping might influence the way safety operations are run on-board. For example, what if a passenger has had one two many whiskies, yet this same passenger is a great tipper. Might the attendant look the other way, compromising safety for compensation. Travel + Leisure reports that American carriers like Southwest Airlines and American Airlines offer a clever approach to tipping as they have rewards programs where passengers can recognise cabin crew. Rather giving a bigger sum of money, post-flight. I believe it could be argued that budget airlines are more likely to add a tipping option as it's not all-inclusive and drinks and snacks are sold on-board, while with all-inclusive flights there are (aside from Sky Mall) no transactions done on-board. Yet, whether they should add it as an option is controversial, as this enters the realm of emotional labour, which is dangerous territory when the primary responsibility of an air host or hostess is passenger safety. 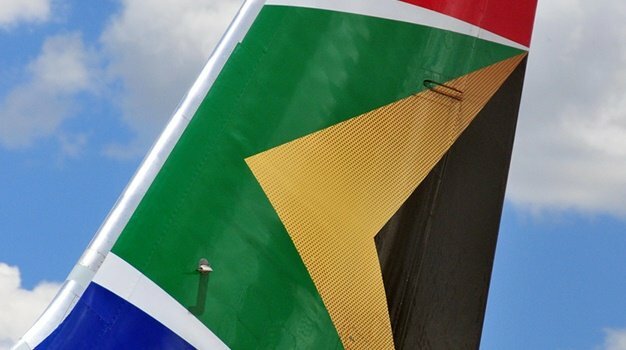 "On kulula.com and British Airways (operated by Comair) it is our passion and pleasure to provide customers with highest level of customer service and therefore it is our policy to not accept tips or any other gratitude from our passengers. Should a passenger be delighted with the service received on board, we urge them to communicate this to us via our various communication channels, in order for us to reward our personnel for the excellent service provided." "We don’t have a formal policy outlawing this, but crew are not to promote the idea either. I think what is important to keep in mind is that while flight attendants are there to see to your comfort and to serve food and drink, their primary reason is to ensure the safety of passengers. As such they are highly skilled and trained members if our teams equipped with specialised knowledge of how to handle a variety of emergency situations. As such they are different to service staff you might find in a restaurant and of course are remunerated differently."